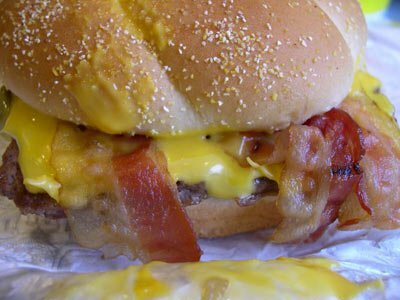 After having a look through the top ten fast food restaurant nutritional reviews, you can clearly see that you're entering a battlefield of choices. Here are 6 smart strategies to use so you can find healthy fast food. The best way to control your calories is control your portion size. Try to use zero calorie beverages. Water is always the best option. Try to avoid sauces and dressings. These add far too many calories. 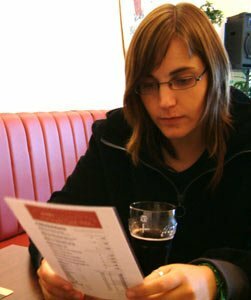 After having a look through the top ten fast food restaurant nutritional reviews, you can clearly see that if you&apos;re trying to lose body fat or even build muscle while staying lean, it may feel slightly like a battlefield as you attempt to make the right choices at these types of restaurants. Often, there is fat and calories lurking in the most unexpected places, so despite the fact you think you&apos;re actually making the smartest decision possible, in all reality, you&apos;re choosing a worse option than the obvious. Decision, But Really It Could Be The Worst. Keep in mind some smart strategies that will generally apply to all fast food restaurants will help you navigate through the waters without causing too much damage to your diet plan. The very first universal rule that will apply to all fast food establishments for keeping things healthier is really monitoring your portions. Regardless of how unhealthy a particular food selection is, you automatically make it less damaging to your diet by eating less of it. Fat gain really does boil down to calorie intake for the most point so even if a food is really unhealthy, if you only eat a small amount and keep your calories in check the remainder of the day, you can prevent fat gain from taking place. Kris Gethin is your own Daily Personal Trainer! Today we&apos;re talking about the importance of meal portion sizes. But with that, do keep in mind it&apos;s not going to do much for you from a nutritional or hunger control standpoint. Always choose the smallest item on the menu and stay away from any type of supersizing offers. The second universal rule to always follow with your meal choices is making sure you choose a calorie free beverage. Water will always be your best bet, but if you really must have a flavored beverage then you&apos;re smartest move is diet soda. Regular soda is just filled with sugar, calories, and will really promote fat gain - and juice isn&apos;t much better. Worse, if you choose milkshakes or other blended beverages, you&apos;re often looking at 300 or more calories per serving, which is almost a whole meal in itself (and in some cases, these beverages will have more calories than the meal you select). [ Click here to learn more. ] Critical Health: Put Down That Diet Soda! Contrary to popular belief, people who drink diet sodas are actually more likely to become overweight than people who don&apos;t. Learn how. When it comes to choosing wisely while ordering a hamburger, there are a few things to keep in mind. First, single patty burgers will be smarter than double patty burgers. True, the double (or in some cases, triple) patties will have more protein, but you&apos;re far better off just having a lower total protein intake for that meal and drinking a protein shake as soon as possible since that protein will be lean protein while the second patty will not. The second thing to pay attention to with any burger is the type of sauce used on them. Any &apos;special sauce&apos; or cream based sauce should be avoided as often it&apos;s that sauce that makes the burger as bad as it is. That Is Being Used On Your Burger. If you&apos;re just ordering a single patty without cheese, loading it up with whatever vegetables are available, and then sticking to mustard and moderate amounts of ketchup for condiments you&apos;re on the right path for making it as calorie conscious as possible. Next we arrive at the chicken menu. When selecting any chicken sandwich, always choose grilled over crispy. Crispy chicken will contain more fat and carbs, often pushing the total calorie count over that of a burger. Cooking With Christina, Episode #1: Chicken, Rice, & Vegetables! Christina offers some great tips on cooking different types of rice while preparing some protein packed chicken breasts and veggies that make up 4 of Mark&apos;s daily meals. Then, just like with the hamburgers, watch the condiments. Cream-based condiments are much more likely to be used with chicken sandwiches, so make a request for it to be prepared without condiments. In some cases the person taking your order may not even be aware of what all condiments it comes with, so rather than asking for no cream condiments (which they may think it doesn&apos;t contain), specifically state you want it without condiments. Then add whatever condiments you wish at the condiment table. In many cases, you can actually find quite healthy choices when it comes to taco&apos;s as long as you&apos;re sticking with the fairly basic variety. The main things to avoid here are lots of cheese added to it, double or triple layer soft or hard shells, and, if you&apos;re watching calories, tacos that are filled with both meat and some form of bean mixture. While beans are definitely a healthy food option, when you&apos;re eating both together, you&apos;re often just pushing the calorie count for that meal too high, and could suffer weight gain. [ Click here to learn more. ] Treating Yourself Wisely At Taco Bell: The Good, Bad & Ugly! When it comes to fast food many people would rather stop off for a taco... Taco Bell is one of the most frequented Mexican food chains, so let&apos;s have a look at their menu so you can be more prepared to order next time around. Since salsa is typically the condiment that gets used on taco&apos;s and it&apos;s a very healthy choice, that&apos;s one you won&apos;t have to worry about. With guacamole, you may wish to request less is used since it can be quite calorie dense as well (although will provide some healthy fats). 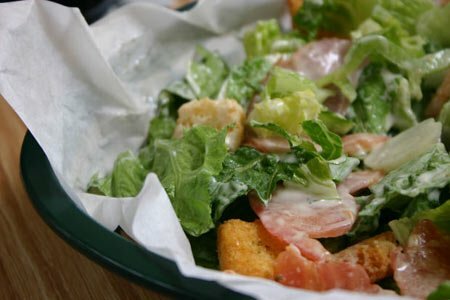 Finally, salads typically are a smarter bet as you likely think, but really watch the dressings. Always check if they have reduced calorie versions and if they do, use half of what they give you. Even though they are &apos;calorie reduced&apos;, more often than not they are still 100 calories or more per serving, which adds up over time. Calories Per Serving Adds Up. The second thing to watch with the salad selections is any &apos;fixings&apos; it comes with. Often you&apos;ll see nuts, bacon bits, croutons, dried fruit, noodles, or chicken added to the salads. If you&apos;re having chicken salad (which can be a very good way to get more protein in this meal), always choose grilled like you would with the sandwiches. Opt away from croutons, bacon bits, and noodles as they will supply far too much fat, and use moderate amounts of nuts and dried fruit. As long as you&apos;re keeping the portion size down, these two additions will add flavor (meaning you use less dressing), and will supply healthy fats and some quality nutrients. So next time you find yourself at the drive-thru, make sure you&apos;re thinking about these factors. Eating fast food on occasion can definitely be made healthy as long as you put some effort into it.